Seven dogs became famous in history as heroes for having saved many lives from ruined buildings during the German bombing campaign on British cities during WWII. 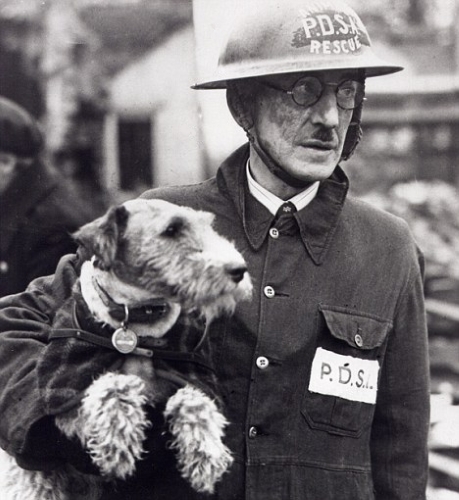 Irma was initially a messenger dog in the war but was later retrained to become a search and rescue dog. 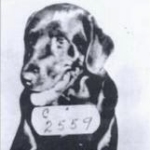 She had a remarkable ability of finding victims buried under difficult places and even had a special bark to let her handler know if the buried person was alive or dead. 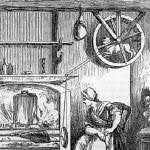 On one occasion, Irma signaled with an alive bark and rescuers dug out a man who was apparently dead, but the man eventually stirred proving Irma was right. Irma and a young dog named Psyche who was being trained helped locate 233 people, 21 of whom were found alive. 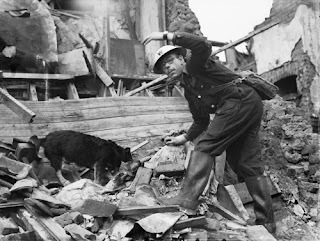 Not all victims from the blitz attacks were people, many were beloved pets. Beauty belonged to Bill Barnett, a PDSA (People's Dispensary for Sick Animals - UK veterinary charity) superintendent who led a rescue squad for animals. 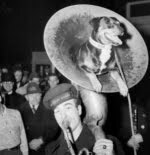 Barnett would take Beauty with him on rescue missions to keep him company, but the dog soon wanted to join in on the search. She started to dig in the rubble and within minutes Beauty found a cat, her first of 63 animals she went on to save. 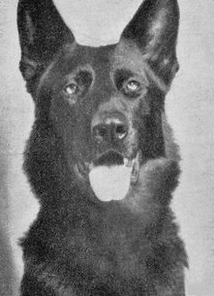 Jet was initially trained in anti-sabotage work and was later trained in search and rescue duties. He helped save over 100 people from ruined buildings. 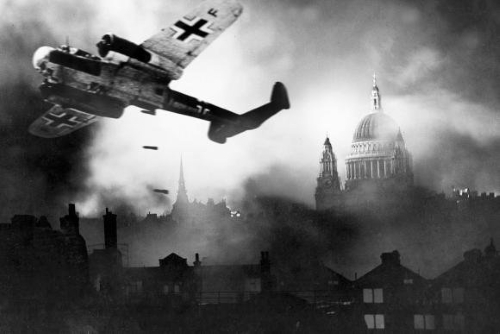 Historian Ian Kikuchi, who works at Imperial War Museum London said "Even when searching piles of the remains of factories full of dangerous chemical and poisonous smoke, Jet's incredible sense of smell was still able to detect survivors." He was not afraid to enter burning buildings, and once found an elderly woman in a building that was already considered thoroughly searched. 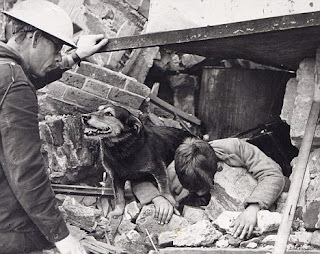 Rip was a stray dog after his home was bombed and was adopted by the Air Raid Warden. 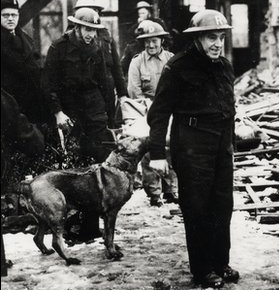 He was made the unit's mascot but began sniffing out casualties when taken to the bombing sites, a job he enjoyed doing. Like Beauty, he was never trained for search and rescue work but took to it instinctively. He was credited for rescuing more than 100 victims. 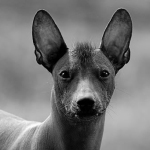 Before Peter was offered to the government for war service, he was always getting into trouble such as fighting with other dogs and chewing anything he could get hold of. He was trained as a rescue dog and proved to be a good one. He was credited for finding many bodies and saving six lives, including the life of a small boy. It is said Peter's speed in finding victims saved the men many hours of useless digging. Rex, trained as a rescue dog, saved 65 people by physically dragging them out of the rubble and leading rescuers to those he couldn't. It is said his uncanny intelligence and outstanding determination helped him find victims in burning buildings despite the intense heat, thick smoke and smouldering debris. 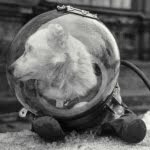 Thorn, who came from a distinguished line of search and rescue dogs, was fearless when finding casualties in unstable situations. Rescuers were baffled in how well he could pick up a scent, including the time he found a family trapped under a burning house, having saved all of their lives. 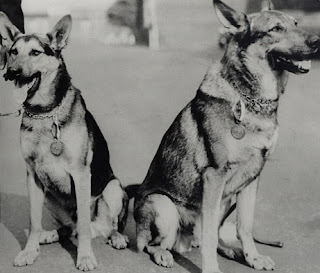 All seven dogs were awarded the Dickin Medal, the animal equivalent of the Victoria Cross, in 1945 for the outstanding work they did during the German blitzkrieg attacks.